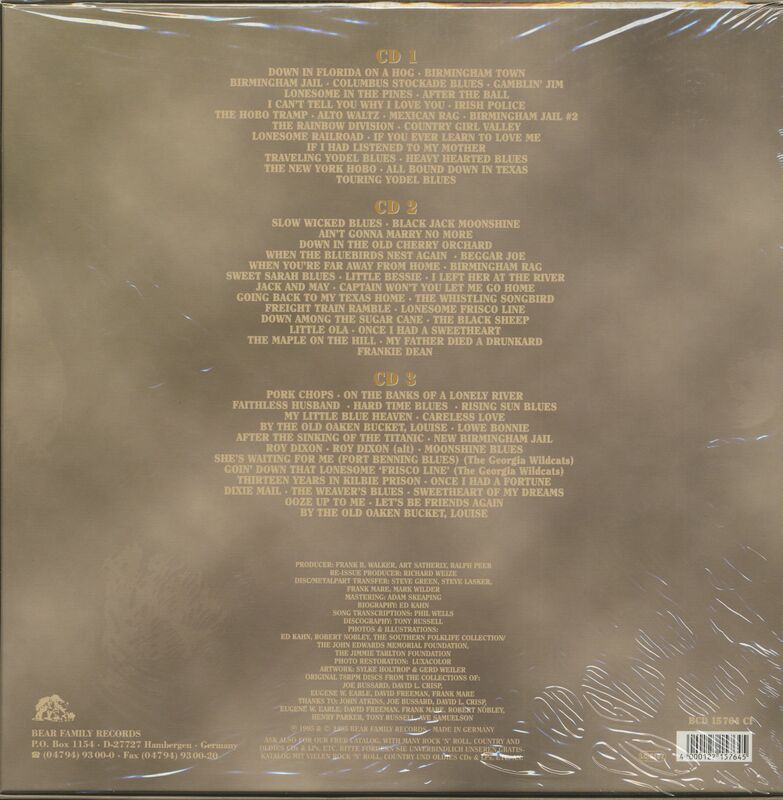 3-CD box (LP-size) with 48-page book, 71 tracks. Playing time approx. 228 mns. A wonderful set of pre-War country music. 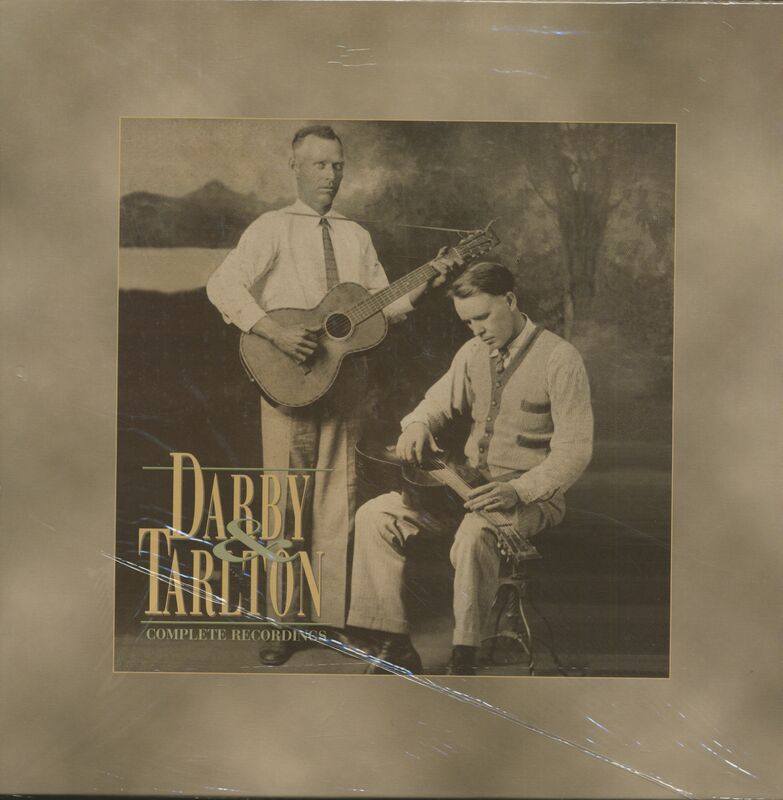 Darby & Tarlton's soulful, bluesy vocals were framed by Jimmie Tarlton's slide guitar. 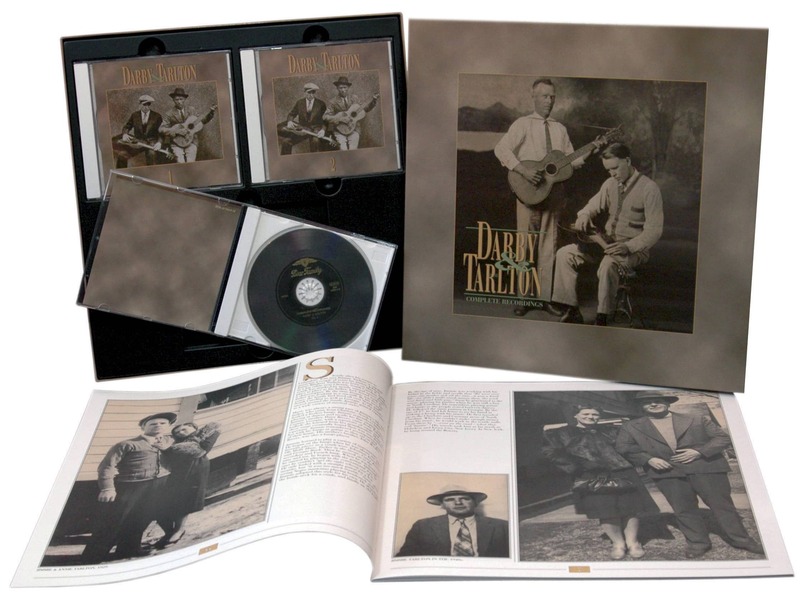 This set includes all their recordings from 1927 to 1933, such as the original Birmingham Jail, Columbus Stockade Blues, Down In Florida On A Hog, and Lonesome In The Pines, as well as their solo recordings and traditional favorites like After The Ball, Little Bessie, The Blue And The Grey, The Black Sheep, and My Father Died A Drunkard. The 48-page book includes a newly researched biography, complete lyric transcriptions, never-before-seen photos, and much more. This is music of incomparable beauty; it's haunting and intense, and reaches back into the pre-history of country music. A classic set waiting to be discovered! J ames Rimbert Tarlton geb. 8. 5. 1892 in Cheraw - South Carolina, gest. 1973 Tom Darby, geb. in Columbus - Georgia Record Labels: Conqueror, Oriole, Romeo, Vocalion, Columbia, RCA, Montgomery Ward, Regal, Banner, Perfect, Melotone, Old Timey, Testament, County, Folk Variety Darby & Tarlton, eines der wichtigsten Old-Time-Duos. Beide verfügten über ausdrucksstarke Stimmen. Darby spielte Gitarre, Tarlton spielte eine klassische Gitarre im Hawaii-Stil. Although Tom Darby (1890-1971) and Jimmie Tarlton (1892-1979) helped introduce the blues to country music, they only recorded one Jimmie Rodgers song during their career, the sentimental World War I waltz, The Soldier's Sweetheart. Retitled Once I Had A Sweetheart, the song was recorded by for Columbia in April 1930. The record features the mournful steel guitar and vocal of Tarlton, with Darby playing back-up rhythm guitar. Customer evaluation for "Complete Recordings (3-CD)"